A Windows Operating System is used in various business enterprises and diversely used in home. Several types of files are stored in this platform, such as a movie, picture, confidential element, so on and forth. Nonetheless, there are some technical glitch errors, which affects OS, its partitions, and leads to data mismanagement (in a way of loss or corruption). Thereon, this advance and reliable functionality is introduced, a Windows data recovery software that efficiently rescues all kinds of data from the corrupted OS and finally restores them!! The tool is equipped with latest technological updates and adheres versatile features, which delivers result-oriented outcome. Quick Recovery for Windows can recover and restore lost, corrupt or damaged files & folders from the following Partition or File systems: FAT16, FAT32, NTFS & NTFS5 File System. 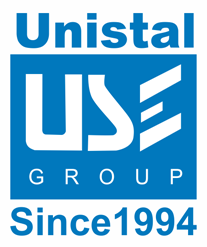 Hard Disk Drives: IDE, EIDE, SCSI, iSCSI, Micro & SATA drives. USB drives, Compact flash card, Smart card, Secure digital card, SD mini, SD micro, Smart media, XD picture card, MMC multimedia card, Jump drive, Jet flash, Memory stick, Thumb drive. Memory Cards, and IBM Micro drives, Multi Media Card, Kodak Picture Card, Picture Cards, and Canon Secure Digital memory. Quick Recovery: Quick Recovery is the first mode of Windows Recovery process. This mode is the fastest; it enables to recover recent data lost due to various reasons, such as accidental formatting or deletion of files, improper shutdown, logical errors, and many more. Quick Recovery is a time-saving and result-oriented process. Quick Recovery for Windows marks the deleted files in RED, as it makes easy to search for deleted files. Quick Recovery for Windows possess the capability of sorting the recovered data in the form of Name, Type, Size, Modified, etc. 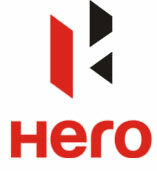 This proficient Software have the ability to save the Log using a Save Log feature. In addition, Quick Recovery for Windows also displays the Current Folder i.e. the current path where you are currently at the bottom of the software. Evaluate: Swiftly evaluates and connects with the device. Identifies all the Partition(s) and provides a preview in a form of list. Analysis: Efficiently analyzes the file structure of the selected logical Partition and inaccessible data area of the drive, later constructs the link to delete/lost files to recover data. Recover: Provides a preview of (tree-like structure) recoverable files and directories of storage drive. Later, the user can restore the entire recovered data in any of their desired location. Exhaustive Recovery: Exhaustive Recovery is an advanced recovery mode, which recovers data lost due to partition format, delete, and re-formatting of Hard Disk Partitions. In Exhaustive Recovery mode, Windows Recovery Software performs a deep scan of the storage media. As a result, it shows all the files, folders, partition, directory entries, or any deleted folder that can be recoverable. Most of the times, Exhaustive mode is used to recover data and logical Partitions from formatted, deleted, damaged and corrupted Disks. Note: In case Normal scan fails to recover data, you can try using Exhaustive Recovery. Exhaustive Recovery is the advance mode where all lost files and folders can be recovered. This mode is used for extreme cases like changing Partitions, broken directory entries, or long lost folders, and many more. Raw Recovery: The Raw Recovery option scans corrupted Partitions for files with specific file extensions. This mode helps in recovering files from Partitions with a damaged directory or file structures. This mode scans all sectors on the Disk sequentially and searches for specific file header signatures. The Raw Recovery option restores small files stored in one cluster or larger files stored in consecutive clusters on the Disk. If Quick Recovery option fails to recognize a specific file type, then opt for Raw Recovery. 1. Disk-to-Disk: In this option, the entire Disk is replicated in the destination Disk. 2. Disk-to-Image: In this option, image (. image) file is created at the desired destination. Note: The Disk image should not be stored on the same Disk, which needs to be protected from data loss. The Disk image is normally a heavy file running into several megabytes of data depending on the size of the Disk which you are imaging. This Disk Image is especially for the purpose of Data Recovery that should be ideally stored on a removable storage media like CD, CD-R, CD-RW, DVD, DVD-R or DVD-RW. How to Recover Deleted files from FAT and NTFS partition? Quick Recovery for Windows software is based on unique Guided File Excavation Technology (GFETCh) and it is a result-oriented software. 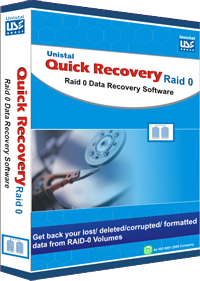 You can use Quick Recovery for Windows to recover corrupt partition table and boot sector. Data can be recovered from formatted Partitions of Hard Drives. Sometimes, when you delete the data by mistake, we can use Quick Recovery for Windows software. You can also recover the data from corrupted file system. You can employ this Software to recover deleted files and folders.